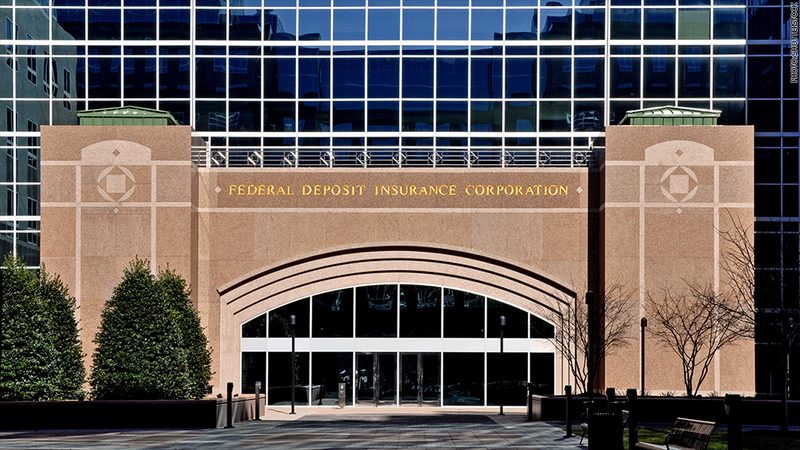 The Federal Deposit Insurance Corp. is suing many of the world's largest banks for their role in manipulating a global interest rate benchmark, alleging their actions played a role in the failure of more than three dozen U.S. banks. The banks named in the suit filed in federal court in New York on Friday include U.S. banks such as JPMorgan Chase (JPM), Bank of America (BAC) and Citigroup (C), as well as international banks such as Barclays (BCS), the London bank that was the first one to admit its role in manipulating the interest rate. The rate, known as the London Interbank Offered Rate, or Libor, is used as a benchmark to set rates for trillions of dollars worth of business and consumer loans worldwide. Employees at the banks allegedly manipulated the rate in order to make profits in their trading of derivatives based on the rate. The suit alleges that manipulation caused substantial losses at 38 smaller U.S. banks that closed and were taken over by the FDIC. The federal agency banks deposits at U.S. banks, and takes control of failed banks, seizing its assets and assuming most of its liabilities. Most of the closed banks were relatively small, although one cited by the agency, Washington Mutual, was the nation's largest thrift when it was taken over by FDIC in September 2008. Bank of America wouldn't comment on the lawsuit. JPMorgan, Citi and Barclays didn't return calls for comment.